The Founding Fathers warned against the national temptation to seek empire. From their writings and debates it is clear that many were prescient in the belief that imperial pursuits would have negative long-term consequences, such as the erosion of democratic principles. They correctly anticipated that coveting and seizing real estate abroad would lead to higher levels of tyranny at home as leaders try to justify, or hide, their war making. James Madison, at the Constitutional Convention at Philadelphia in 1787, recorded that the phrase “make war” was changed to “declare war” in order to give the President enough power to repel sudden attacks but not enough power to commence war. For that he would require the explicit approval of Congress. As a result, Article One, Section Eight of the Constitution says “Congress shall have power to … declare War”. The beauty of the Constitution is precisely that it invites broad interpretation, legal argumentation, and compromise. Hence the debate will continue as to the legal extent of the President’s authority in this regard– ad infinitum. The Founders’ efforts not withstanding, history has shown us that during times of crisis especially, the Constitution has come under fire by politicians hiding behind the veil of impending or existing military actions. And it usually hasn’t been pretty. This tendency may be best exemplified by the Gulf of Tonkin Resolution in 1964. The entire affair has always been surrounded in murkiness but it has been tirelessly examined over the years and the judgment is fairly consistent that the Resolution was a constitutional shell game orchestrated by LBJ to give himself a free hand in Vietnam. We know how it turned out– mounting death and destruction overseas and tenacious crackdowns on free speech, free assembly, and privacy back at home. The momentum was definitely in the favor of those forces willing to push the Constitution aside when required when suddenly the tyranny train derailed, only by chance, when a group of Richard Nixon’s “plumbers” were discovered one summer night in 1972 at the Watergate Office Complex in Washington, D.C.
More recently we Americans are familiar with the debate over security versus privacy that has been on-going in the US since September 11th, 2001. The War on Terror, along with its offspring in Iraq in Afghanistan, was again used as a pretext for loosening the privacy and search and seizure protections afforded by the Constitution. We have enough already disclosed evidence about Constitutional abuses– from wiretapping with the help of the major carriers to renditions to profiling and flimsy arrests– to declare this another case of creeping lawlessness come wrapped in the flag. Not by a long shot. One of the first examples of the phenomena actually took place in a dispute between two of the founders themselves; the Federalist Adams and the Republican Jefferson, thus proving that even the very principled are not always immune to the seductive spell of power. In 1798, under the threat of impending war with France, President John Adams and his Federalists used fear of war as the pretext for moving Congress to pass four laws aimed at strengthening the Federal government– at least that was the claim. Known collectively as the Alien and Sedition Acts, the legislation sponsored by the Federalists was covertly intended to quell any political opposition from the Republicans, led by Thomas Jefferson, who were very critical of Adams, especially on foreign policy grounds. The last of the laws, the Sedition Act, declared that any treasonable activity, including the publication of “any false, scandalous and malicious writing,” was a high misdemeanor, punishable by fine and imprisonment. By virtue of this legislation twenty-five men, most of them editors of Republican newspapers, were arrested and their newspapers forced to shut down. This was a direct restriction of their First Amendment rights. One of those arrested and charged with libeling President Adams was Benjamin Franklin’s grandson, Benjamin Franklin Bache, editor of the Philadelphia Democrat-Republican Aurora. This time though, the Federalist tactic backfired. Mr. Bache’s arrest caused a public outcry against all of the Alien and Sedition Acts. Indeed, many Americans had already begun to question the constitutionality of the laws and with this sensational story things must have seemed headed in the wrong direction. Due in part to the star quality of the witness, who actually died before the trial started, public opposition to the Alien and Sedition Acts became so great that it was instrumental in the election of Thomas Jefferson to the presidency in 1800 over Adams. 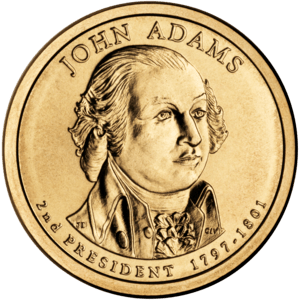 The Alien and Sedition Acts expired when the term of President Adams ended in 1801. Once in office, Jefferson pardoned all those convicted under the Sedition Act, while Congress restored all fines– paid with interest. Thankfully”we the people” prevailed. Following his grandfather’s death in 1790, Bache inherited his printing equipment and many of his books. He followed in his grandfather’s steps by establishing The Philadelphia Aurora. The paper was notoriously passionate, even surpassing grandfather Benjamin Franklin‘s fierce pro-French and democratic stances. Bache’s articles denounced Federalists. The papers openly discredited both George Washington and John Adams. Among Bache’s more controversial statements was the suggestion that Washington had secretly been collaborating with the British during the American Revolution. Bache was subsequently arrested after the passage of the Alien and Sedition Acts, legislation supported by then-President Adams. This law may have been written, at least in part, as a response to Bache’s statements. Bache died from yellow fever at the age of 29 before he could stand trial. He is regarded by many Americans as an early champion of the Freedom of Speech and the First Amendment.